Shelburne Sherr Court Reporters & Videography is San Diego’s number one choice for court reporting services. We work with only the best court reporters and offer the latest, cutting edge technology that your team deserves. Access your transcripts case files, deposition information, maps, directions, invoices, and statements online through Reporter Base – an easy to access website where you can download all of your transcripts into your client’s file, all from your own computer. Real-time streamed video depositions that can be taken and transmitted across the world. Save your client travel expenses and costs by deposing your out-of-state witness through our secure web program – LiveDeposition. Revolutionizing the deposition process, LiveDeposition allows for you to depose any witness, anywhere where there is internet connection, all from the comfort of your office. Connect with your co-counsel through our secure private messaging system, upload exhibits for the witness to review, and preview the transcript in real-time on the edge of your screen. LiveDeposition is the new way of deposing witnesses in litigation. Learn more about LiveDeposition videography services, visit our Videography Services page. 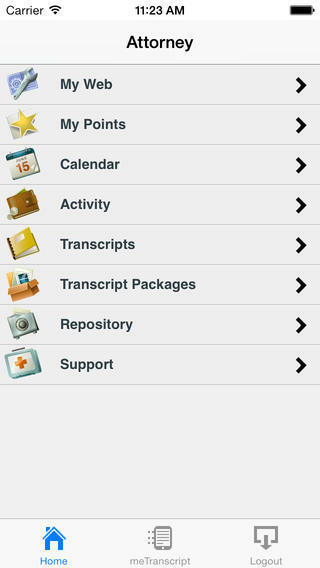 The SSCR Mobile Office app is free to download for all of our clients from the iTunes store. SSCR Mobile Office allows your litigation team to take their work with them, wherever they are. Access deposition transcripts, highlight key testimony, perform keyword search, email highlights to experts & associates, and keep track of billable hours, all on your iPad or smartphone. Download our app through the iTunes Apple Store. Go with the best. Schedule your deposition with Shelburne Sherr Court Reporters & Videography today. Please visit our Scheduling page here.